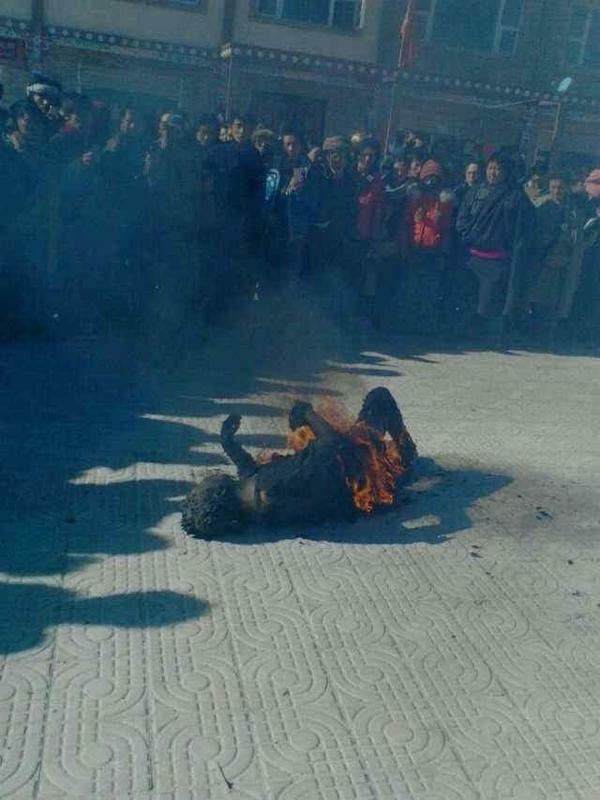 Info: A man in his twenties who has been named as Tsering set himself on fire in Drachen village, Marthong county, Ngaba Tibetan and Qiang Autonomous Prefecture in Sichuan province. He passed away at the scene and his body was taken away by Chinese police, according to Tibetan exile sources. He is survived by his wife and two children. 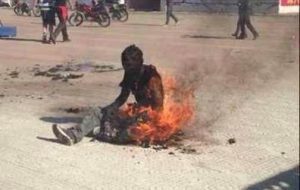 He self-immolated on Dachen Unity Square in Drachen village, Khyungchu region, Ngaba on January 18th. Chinese security personnel arrived at thte scene and bundled away his body to Barkham. In Dharamsala, in freezing rain, people gathered for a vigil for him while monks at Amchok Monastery carried out a prayer service. Please return his body to his survived family. A child participates in a candlelight vigil in Hyderabad, India to highlight deterioration of human rights in Tibet, Jan. 10, 2013. A young Tibetan man set himself on fire and died outside a police station in China’s Sichuan province on Friday in a challenge to Beijing's rule in Tibetan areas, according to sources in the region. It was the second Tibetan self-immolation this year and the 97th since the wave of fiery protests began in February 2009 aimed at highlighting opposition to Chinese rule and seeking the return of Tibet's spiritual leader the Dalai Lama. Tsering Phuntsok, 28, set himself ablaze at about 3:15 p.m. local time outside a Chinese police station in Marthang (in Chinese, Hongyuan) county in Sichuan’s Ngaba (Aba) Tibetan Autonomous Prefecture, Tibetan sources said. Phuntsok, who came from Marthang county’s Drachen Township, Unit 2, is survived by his wife and two children, sources said. His father’s name is Kyokpo and his mother’s name is Yangtso. “Shortly after the self-immolation, monks from Amchok Tsennyi monastery gathered at the deceased’s house and said prayers,” another source said. The area is now under a heavy security clampdown, according to local sources. Chinese authorities have already clamped down on the Internet and other communications in the areas where self-immolations have occurred. Satellite equipment used by Tibetans to tune in to foreign radio and TV programs has also been seized. Human rights in Tibetan areas governed by China have plunged to “a new low,” the Dharamsala, India-based Tibetan Centre for Human Rights and Democracy said this week. The exile group asked Chinese authorities to release Tibetan political prisoners and investigate the “real causes” behind self-immolation protests. In its report, the rights group documented a series of abuses against Tibetans, including arbitrary detentions and arrests, torture, and restrictions on Tibetan language and culture. Reported by Guru Choegi, Chakmo Tso, and Lumbum Tashi for RFA’s Tibetan service. Translated by Dorjee Damdul. Written in English by Richard Finney. Tsering Phuntsok's body burns on the ground in front of Chinese police station in Drachen village in Khyungchu region of eastern Tibet on January 18, 2013. DHARAMSHALA, January 18: The wave of self-immolation protests in Tibet against China’s continued occupation of Tibet shows no sign of abating with reports just in of yet another fiery death in Khyungchu region of Ngaba in eastern Tibet. Initial reports have identified the Tibetan self-immolator as Tsering Phuntsok. 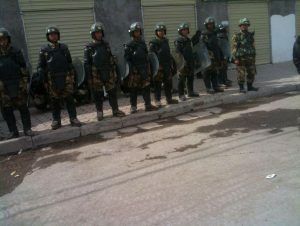 According to a Swiss based Tibetan, Sonam, the protest occurred at around 3:15 pm (local time). 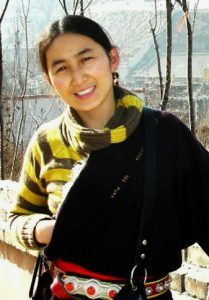 Chinese security personnel arrived at the scene and bundled away Tsering Phuntsok’s body to Barkham, the same source said. Photos of today’s self-immolation protests show the charred body of Tsering Phuntsok, still on fire, lying on the ground. A number of people could be seen surrounding the body. Reports suggest that monks of the Amchok Monastery are currently carrying out a prayer service for the deceased. This is the second self-immolation protest in Tibet since the beginning of the new year. In 2012 alone, as many as 82 Tibetans set themselves on fire demanding freedom and the return of Tibetan spiritual leader His Holiness the Dalai Lama from exile. Chinese authorities in the region have intensified their repressive policies by criminalising the self-immolation protests, arresting family members and friends of protesters and off late, confiscating thousands of satellite TV dishes aimed at creating an information black hole in the region. “I think self-immolations and all of this suggest that they are not winning the hearts and minds of the Tibetan people and in fact the more repressive they are, the more resistance they encounter, so it’s a kind of vicious circle,” Davis said.